Google’s Magenta project is using machine learning to understand art and music. They’re even making tools to help people get started using artificial intelligence in artistic contexts. But there’s a bit of a learning curve to get started. Latent Loops is an experimental musical interface that uses MusicVAE, one of Magenta’s machine learning models, to create a palette of melodic loops based on a musician’s input. 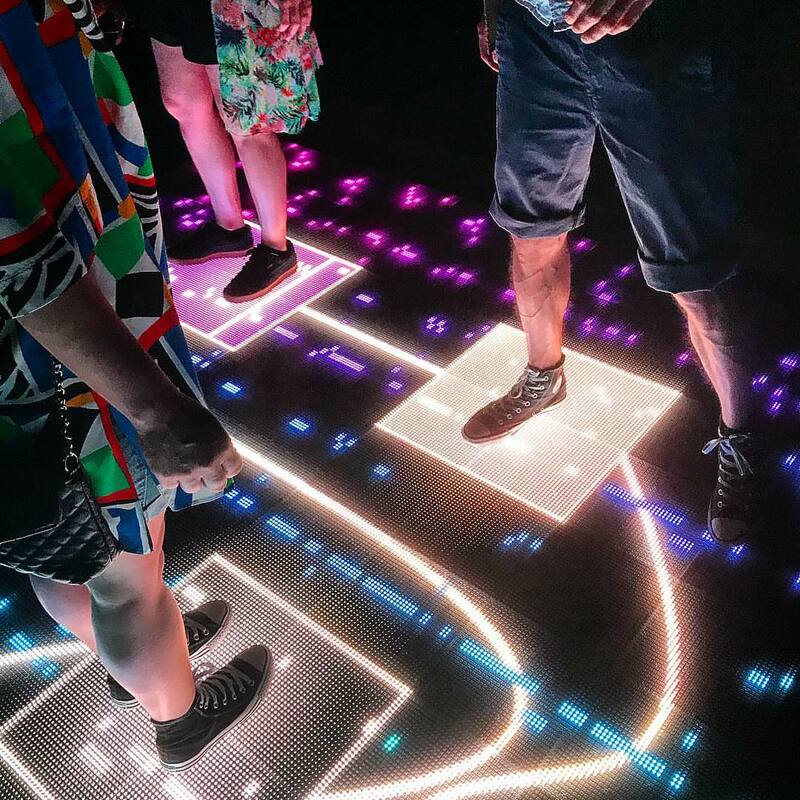 It’s designed with electronic musicians and fans in mind, so Google’s Pie Shop team and I created a room-scale version of the project that debuted at the Sónar Music Festival in Barcelona. 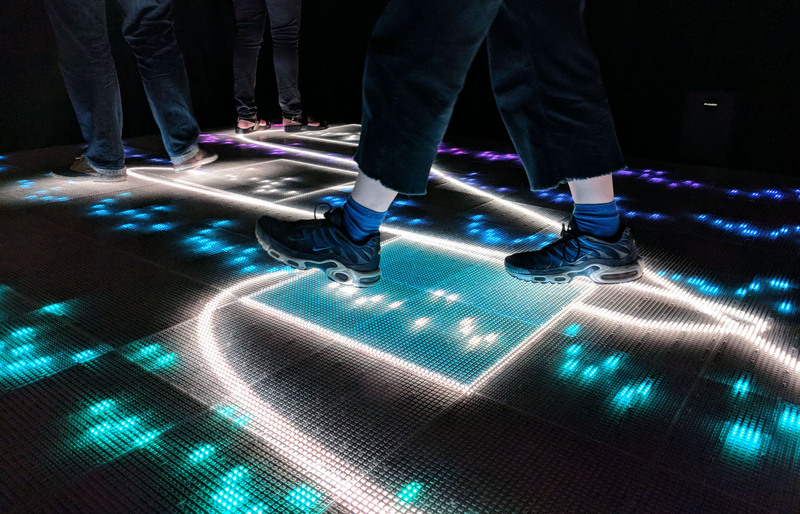 We stripped down the web interface and interpreted it as an interactive installation that turns the idea of a melodic palette into a playable physical space that people can explore with their bodies. 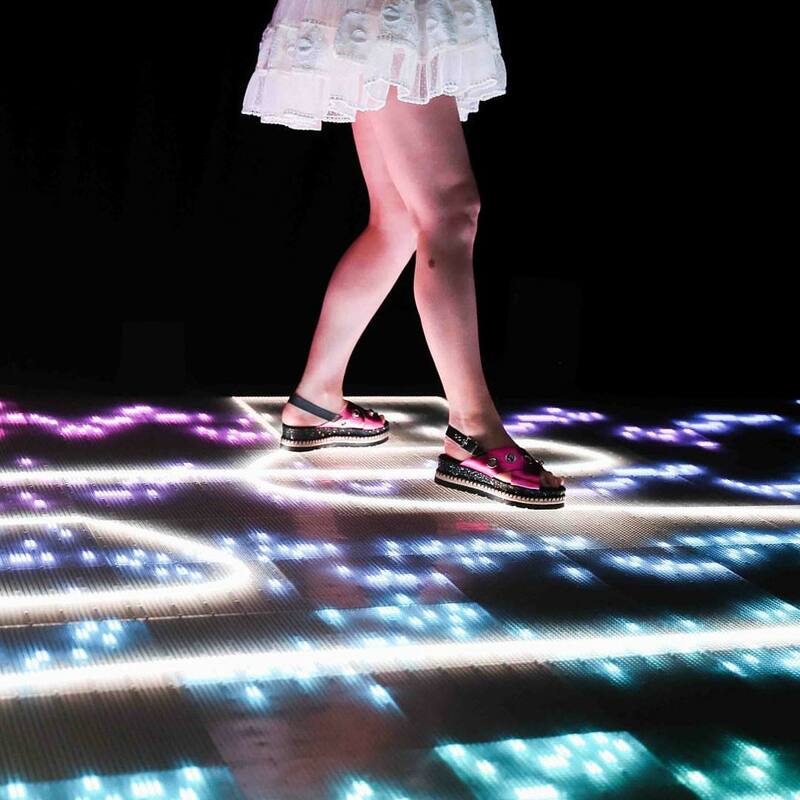 Participants craft and edit seed melodies on touch screens at the corners of the floor. The ML model generates new melodies by blending those created on the touch screens. People then collaboratively perform a piece of music by moving across the palette together. Multiple players create longer phrases – each player gets a count of eight to be in control before playback bounces to the next.